It’s time to start thinking about cosy crochet. I’ve lost count of how many times I’ve been asked by UK crochet magazines to design a new take on the simple toe up crochet slipper. It’s hard to come up with something original as it is something of a “design classic” and the only way to add a twist is by embellishment or by adding visual interest with bright colours. The Myboshi version (pictured above) is my all time favourite. The chunky yarn (a blend of wool and acrylic) is hard wearing, yet soft next to the skin. The pair photographed were made using 2 balls of Myboshi (one in each colour) and I used a 6mm crochet hook. 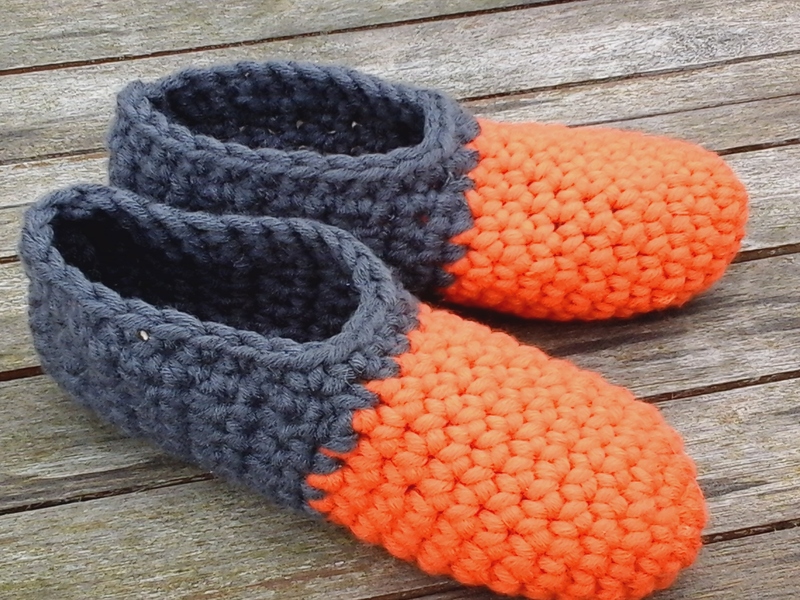 To make a pair of your own you’ll need 2 balls of Myboshi yarn (I used 1 ball each in 195 “Anthracite” and 131 “Orange”). If you can’t find Myboshi, then Drops Eskimo is a good alternative. 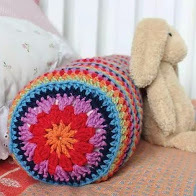 You’ll need about 50m in each colour for pattern as written, so feel free to substitute any chunky yarn. Made as written below, these slippers should fit a ladies size 3 -4. They will stretch, so always make slightly shorter than you think you’ll need. There is no need to make a tension swatch for this project. Instead, work the first 4 rounds and take a look at your slipper, if you think you would prefer a firmer fabric, start again with a smaller hook. If your work is loose and “floppy”, you need to go down a hook size. You’ll also need a 6mm hook. Pattern (written using standard UK crochet terms). 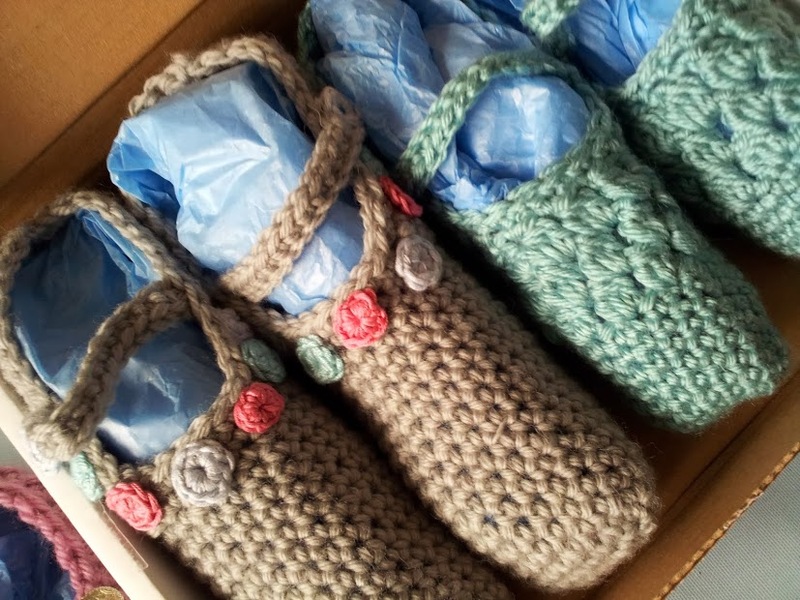 Notes: Each slipper is made “amigurumi style, that is without joining each round). Use a stitch marker to indicate the last stitch of each round and move it up each time you work the last stitch of the round. You’ll need to make 2 the same, left and right feet are interchangeable. 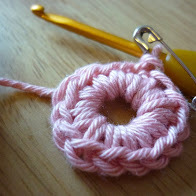 With orange yarn, make 5 ch, join with a slip stitch to make a ring. Rounds 5 – 12: 1 dc in each dc around. Fasten off Orange and join grey to any dc. Make 1 ch, 1 dc in each of next 20 dc, turn. Pattern now continues in rows, working with 20 dc (4 stitches remain unworked at the front of the slipper). Rows 1 – 18: 1ch, 1 dc in each dc, turn. 20 dc (You can adjust the length of your slipper here by working more or fewer straight rows). Fasten off yarn and fold slipper in half to sew back seam. Rejoin grey to top of heel seam, 1 ch. Round 1: 1 dc in last stitch of each row along first side, 4 dc along unworked sts, 1 dc in last stitch of each row along second side, sl st into first dc. Round 2: (optional) 1 sl st in each dc around. fasten off yarn. Weave in ends. I’ve got another cute slipper pattern for you which should be ready to share in a day or two. meanwhile, if you are looking for more of my patterns, you can find a selection of single patterns to download on Love Knitting, or click on the photos on the right hand side to discover more free patterns. Oh – by the way – if you use instagram, consider following me there as I post photos and tips there which never make it to the blog! I love seeing readers make their own, such as these, inspired by the Craftseller pattern. 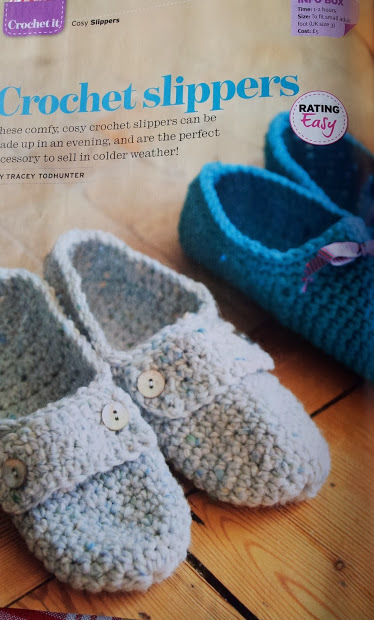 So there you are, plenty of crochet slipper inspiration for you. 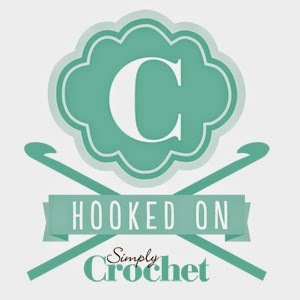 I’ve no doubt this simple style will make its appearance the autumn issues of several crochet magazines. I’m looking forward to seeing how this year’s designers interpret this classic. The simple patterns are so often the best, these slippers have just been added to my to do list.